Salt Lake may have been more ethically diverse in the early days than people today realize. The date on the picture says 1918, the union came here in 1902 one hundred and ten years ago. 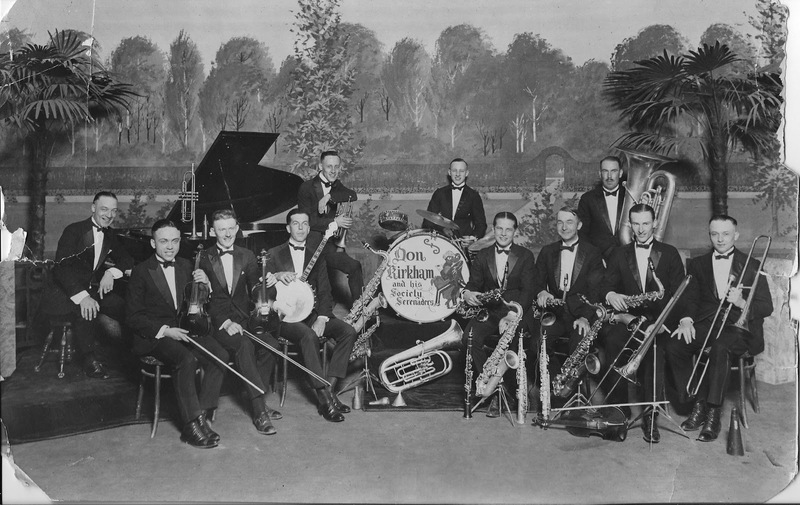 Trom the archives of the American Federation of Musicians, Local 104 photo archives. I found this photo in the archives of Local 104's Musicians Union folder where I work during the day. 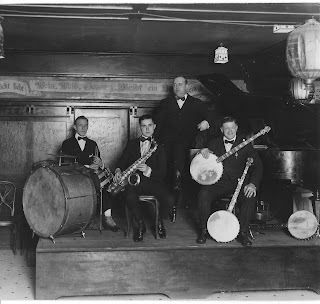 "See", all my banjo buddies would say, "Banjos used to be used for everything back then". What I want to know is how they got the Banjoist in a suit. 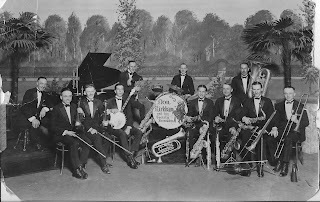 Don Kirkham and his Society Serenaders 1922-23 season in Salt Lake City.